I think you have identified a key problem here; the majority of academics who specialise in Kemet have no knowledge of other African cultures and tend to focus solely on parallels with modern day Egypt. Fortunately there are now some scholars who have the necessary skills to compare the ancient language of Kemet with other African languages, but they are still very small in number. We really need more of this type of work. I think the comment above, which reads: “Fortunately there are now some scholars who have the necessary skills to compare the ancient language of Kemet with other African languages, but they are still very small in number. We really need more of this type of work”, sounds positive but it’s an implication that there are no Kemet researchers elsewhere apart from those handful whose names are somehow familiar. 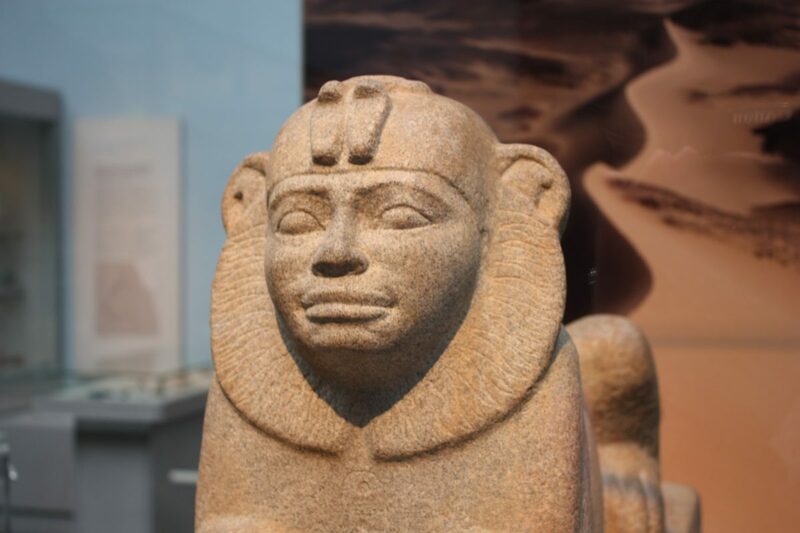 It’s sad to see continued race prejudice in academia & museums with respect to giving attention to non-white scholars and researchers on Kemet. The truth is, Kemet has been studied, explored and investigated for several decades, for example, by Black American researchers. For example, Dr Ben Jochannan has worked and written extensivelly on Kemet and the wider Afrika. Dr Anthony Browder is another scholar on Kemet who has travelled to the location and investigated and written on various aspects of Kemet. The list of Black American scholars is long to go through in this short post. But why are these Black scholars not given attention? White insecurity and continued effort to suppress the truth while telling lies about “Egypt”. This is lack of intellectual ability, sheer dishonesty and prejudice in the ‘West’, as ever. The very institution, British Museum itself exists to make money and profit with dishonety while suppressing the truth and propagating lies. Items in British Museum are stolen properties and legacies from abroad. They are kept in Britain with such blatant arrogance. The BBC or other white controlled media outlet would not interview or give a two minute platform to Black scholars of Kemet. The ‘West’ is a sham. Black people have been insulted, distespected and cheated, and continue to be disrespected twice by whites. I do hope that it will not be too long now when Black people wake up and challenge these systemic white deceptions and lies. Now, I have used words here, and many readers will labell me “radical, controversial..” etc. So what? I tell it as it is. West is a sham, dishonest and liars. Tgey have raped, enslaved, colonised Afrik and continue to steal from Afrika, while portraying Afrika as “poor, developing, savage, “etc, This is a white lie! Had it not been for Afrika, there wouldn’t be smart phone in the hands of white people. In the end, the Truth shall prevail. The pain and suffering of black people will not be ignored and the perpetrators will not be left without sever and insurmountable challenge. “Egypt”/Kemet is Black Afrikan. The comment refers specifically to the comparison of languages- and there are still very few people who have the necessary (high level) of proficiency in ancient and modern to undertake this work. Unlike material culture, language tends to be embedded in Egyptology departments rather than the broader umbrella of arch/anth. That Egyptology often remains this way is at the heart of the issues you raise. I forgot to add that the 25th Dynasty comments are another National Geographic “Black Pharoah” slap in the face because it still implies innuendo that Nubians were somehow “more African” than the people of Kemet – which is an outrageous lie, of course. So I have no hope that the British Museum will ever be explicit when it comes to its public displays, at least anytime soon. Have a great day! Thanks for your comments. I have made this same point in my communications with the museum. That having a gallery that recognises ‘Nubia’ only as African removes Kemet further from the continent and African cultures. Saying there is “no room” to discuss this sounds like a copout to me. Also the use of the term “interpretation” is dancing around the issue. Its like saying the Japanese Shogun were Japanese is an “interpretation.” Academics and Egyptologists have been clinging to this ambiguous version of Egypt for much too long and I strongly feel it is deliberate (and irresponsible). Lastly, the comments on Egypt’s relationship to Africa in the Middle Ages and the 20th Century is a shallow attempt to address this issue. It is also irrelevant because the issue here is the origins of predynastic and early dynastic Kemet, which has been written extensively about by such individuals as Maria Gatto, Bruce B.Williams and David Wengrow to name just a few. That the emerging Kemetic culture started developing from an African pool of cultures that continue to be represented to this day in Africa seems to make these people buckle down even more. Therefore, this response is a cheap attempt to address the issue, which offers historical periods way after the fact. Instead the British Museum chooses to attempt to keep one of Africa’s most important historical periods “shrouded in mystery.” Except it is not so mysterious anymore (and they know it). I wish the writer of that letter could see my words because this behavior flies in the face of culture and true academia, Dr. Ashton. No other ancient civilization studied so deeply has been shrouded in so much artificial mystery as Kemet. Thank you for your time reading this.